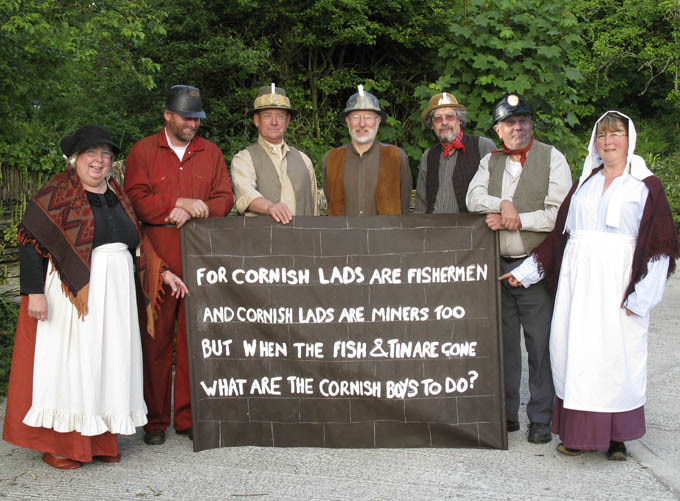 A powerful 90 minute musical documentary drama celebrating the World Heritage mining landscape of Cornwall and West Devon, and focusing on the true stories of people that made it, and carried it across the world. The CD and book of 'Cornish Lads' is available from Cornwall Songwriters from May 2008. Cornwall Songwriters are part of an increasing Cornish presence in the national folk scene. Their songs are sung from football terraces to arts festivals. The songs touch real people, as shown by the graffiti of Roger Bryant's 'Cornish Lads' at South Crofty.